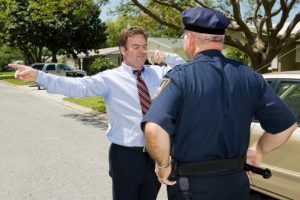 If you are charged with driving impaired and your blood-alcohol concentration is over-the-limit in Texas, it may seem difficult to mount a defense. After all, the science says that you are too impaired to be safely on the roads. As a DUI defense lawyer knows, however, blood and breath tests are not accurate and plenty of mistakes can be made. You need to have a full understanding of your rights and explore ways to introduce doubt about the accuracy of tests if you have been charged with impaired driving. Recently, mistakes made in one PA county show just how easy it is for errors to lead to the conviction of innocent people for impaired driving. According to the Sun Gazette, a Pennsylvania county has made serious mistakes when determining whether motorists were impaired. A local hospital was responsible for testing drivers to see if they were over the legal limit of .08. Unfortunately, the hospital incorrectly tested motorist blood serum, nor the motorists’ whole blood. The result was that blood-alcohol content of motorists was overestimated by as much as 15 percent. Testing blood serum can be an acceptable way to determine if someone is drunk. However, a calculation must be done in order to convert the percentage of alcohol found in the blood serum to determine the percentage of alcohol that would be found if a whole blood sample. This calculation was not performed. Because of the error, people may have been found over-the-limit when really they had not consumed enough alcohol to be considered intoxicated. Furthermore, because a higher blood-alcohol concentration can lead to more serious penalties, drivers may have been left to cope with longer jail terms, larger fines and a longer license suspension as a result of inaccurate test results. Yahoo News indicates that the District Attorney in the county where the mistake was made has described the incident as an “unfortunate oversight.” Unfortunately, it was much more than just an “unfortunate oversight” to the people whose lives were disrupted by jail terms or the loss of a driver’s license due to inaccurate testing. The District Attorneys office says that it has reviewed more than 570 cases and eliminated them as being affected by the discrepancy. Another 180 cases could be affected and will be reviewed shortly. When the review is complete, estimates indicate that around two percent of cases may either need to be retried or dismissed. The hospital and police disclaim responsibility for the error, indicating that it is the job of the prosecution to make sure the blood-alcohol concentration levels are correct. Since it is so clear that prosecutors failed to do their jobs in this instance, the mistakes serve as an important reminder to defendants and defense lawyers to always check the evidence for inaccuracies. This entry was posted on Monday, September 22nd, 2014 at 3:14 pm and is filed under Drunk Driving. You can follow any responses to this entry through the RSS 2.0 feed. You can leave a response, or trackback from your own site.